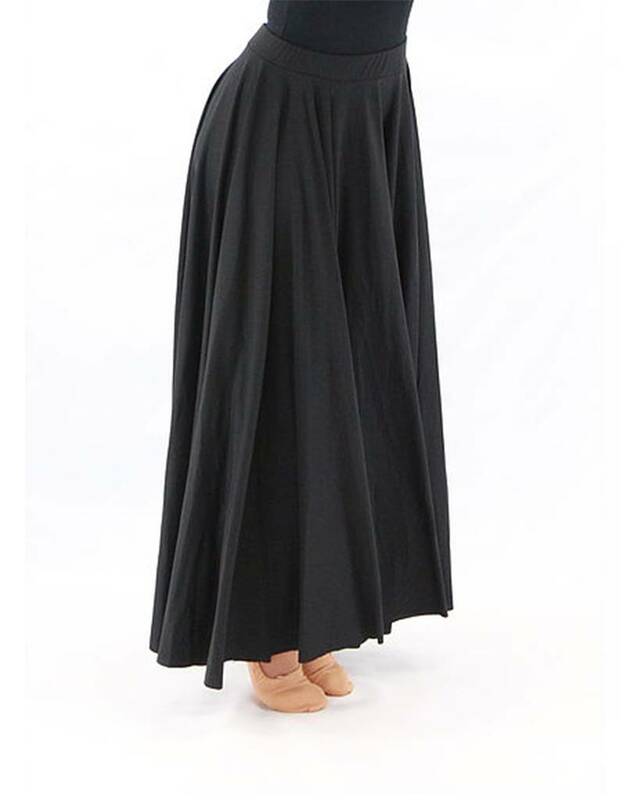 Liturgical Dance Skirt by Basic Moves sits at the natural waist and is floor length. Can be cut to proper length if too long. Comes in either black or white.